The Society aims to celebrate the great achievements of British Industry past and present as well as their pioneers, leading engineers, designers, inventors and entrepreneurs. Originally set up in 1967 to share knowledge on the industries local to Watford, we now embrace industries, transport, machines and structures throughout the UK and beyond. Just click on the link to Meetings to see the wide range of topics covered, all with Audio Visual presentations by speakers who are expert in their fields. Click here for meetings. The meetings are informal with a tea/coffee break to give members an opportunity to share their interests and meet the speaker. 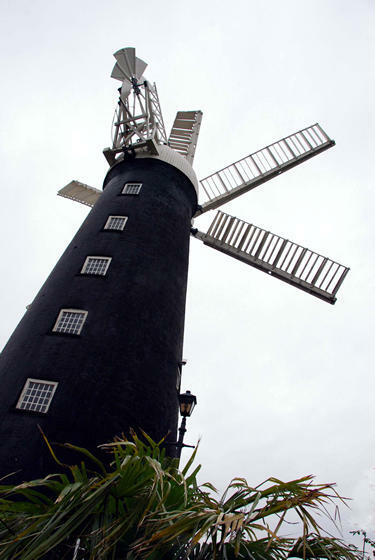 The November meeting is traditionally reserved for a film night on topics from Windmills to Widgets. Our three summer trips are to topical venues and often supplement the talks. Click here for visits. Most years we have a well organised and sociable long weekend away to explore the industrial history heritage in different parts of the country. Download the Application Form under Subscriptions, or you are welcome to come along to any meeting.